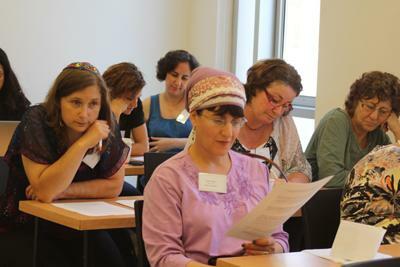 More than 300 women participated in the 14th national Masorti Women’s Study Day on June 21 at the Schechter Institute in Jerusalem. The study days are a joint project of Women’s League for Conservative Judaism, the Masorti Movement and the Schechter Institute. 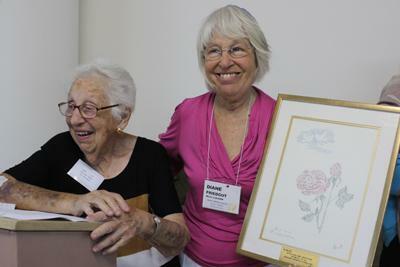 A highlight of this year’s program was a ceremony honoring Alice Shalvi’s many years as guiding light and teacher of the program. Shalvi, known for her groundbreaking work in women’s rights and education for girls, is the founder of the Israel Women’s Network. She is retiring this year after having served as president and chair of the executive board of the Schechter Institute. She is the 2007 recipient of the Israel Prize.